This little man ... I mean seriously?! Does it get any more cute? And with the beautiful backdrop of Mid-Lothian Mines Park here in Chesterfield, Va. I love having such amazing locations so close to home! 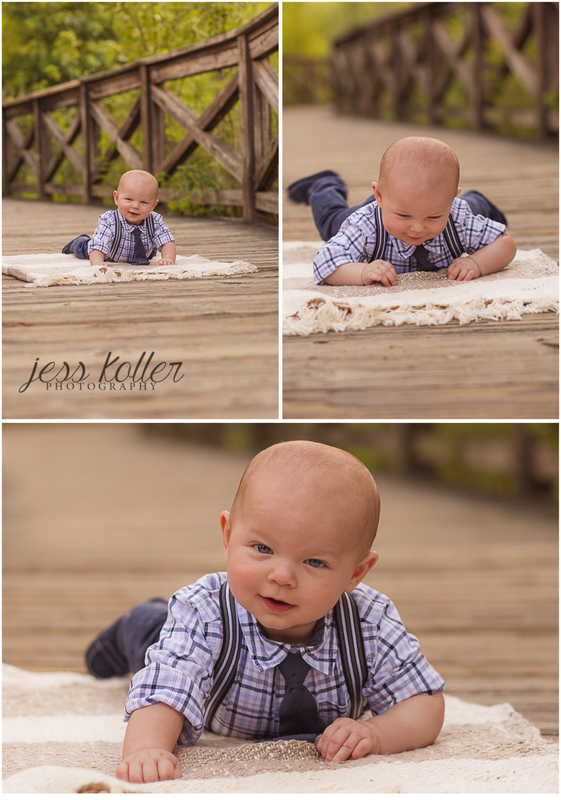 I have had the pleasure of capturing his moments from the time he was in his mother's belly, so round and cute, and I still squeal with delight each time she contacts me to set up the next photo shoot! He is growing so fast. 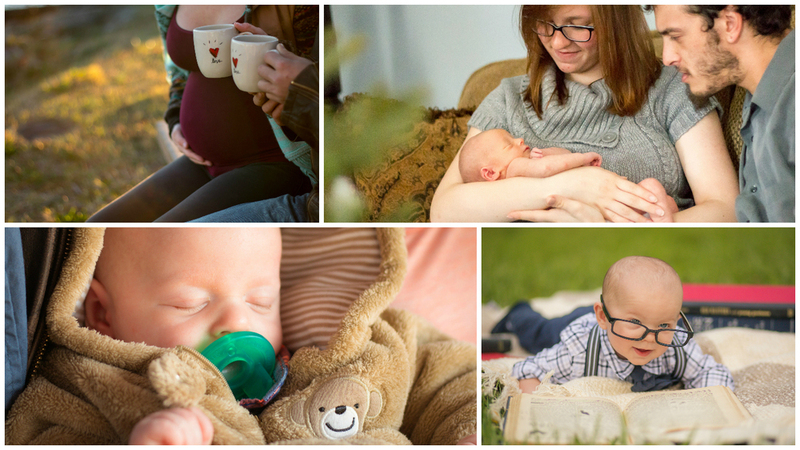 So when his mom asked if we could do a 'nerd' themed shoot, the answer was "OF COURSE!" A new opportunity to shop for props is NEVER turned down! *wink* And I am in LOVE with the way it all came together. Med school, here he comes! Look out world! This may have been how he really thought of all those books ... okay, maybe Med School is a bit too much work. And of course we had to get the grandparents! These two provide so much love and support! Some times it feels like family units are a thing of the past, and then you find families like these, held together with love and laughter, and it brightens my day just to be around them, if only for an hour! And the love these two parents shower on this little man! Gah! He's one lucky little fella. But really, where has the time gone? Already 6 months old? How is that even possible?!? And he's trying so hard to crawl! Once he gets it there will be no stopping him!! He is on. a. mission! Of course, we had to please Dad too! What 'Nerd' shoot would be complete without some comic books? I think Batman may be his favorite. What do you think? We even had the opportunity to capture his first dirty feet! Those sweet toes! I'm sure there are many more barefoot days in the grass to come! As the session was coming to an end, I had to take advantage of the amazing light that sun down always supplies. So golden and beautiful! How could I not take advantage to accentuate the natural beauty of these ladies (and a couple gentlemen). You can't create these moments in a studio, I love having the opportunity to hang out with such wonderful families in such beautiful locations and capture you ... being you! Thank you again for allowing me to be part of your lives!